Pakistan has summoned the Dutch charge d’affaires to protest about the Mohammed cartoon contest being organized by PVV leader Geert Wilders. ‘A strong protest was lodged on the announcement by the leader of the Dutch Freedom Party and parliamentarian, Geert Wilders, to hold a competition of blasphemous caricatures,’ Pakistan’s Tribune newspaper quoted the foreign affairs ministry as saying. Pakistan’s ambassador in The Hague has also been urged to ‘forcefully raise the issue’ with the Dutch government along with ambassadors of OIC member states, the statement said. 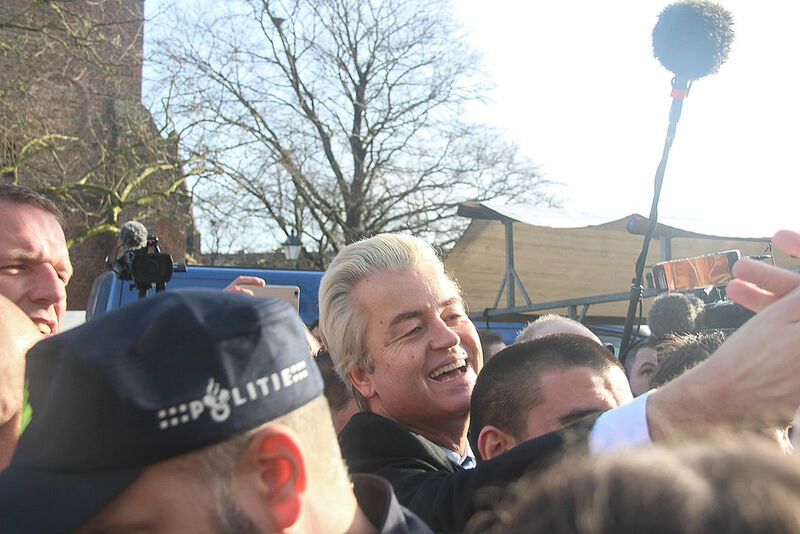 Wilders said in June he has already had over 200 entries for the contest. The winner will be chosen at an event in a secure part of the Dutch parliamentary complex, where PVV MPs are based, later this year, following clearance by the Dutch counter terrorism unit. Three years ago, parliament rejected Wilders’ plan to hold an exhibition of anti-Islam cartoons inside the complex, saying ‘exhibitions in parliament must focus on the role of parliament and should not offer a platform to party political statements or be controversial.